Not valid with any other offer. Must present coupon at time of service. Valpak® coupon only. Coupon void if altered. Expires 05/06/2019. Free AC,Heating & Plumbing Estimates. We Service & Repair "Any Brand, Any Problem, Any Time" We specialize in a wide range of Heating and Cooling services including service, repair, duct cleaning, duct work, maintenanace of all brands, and air conditioning and heating system installations. 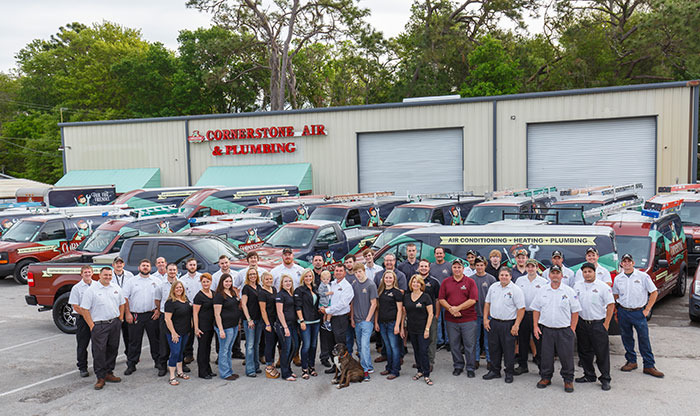 Serving Pasco Hillsborough,Hernando, Marion, Lake, Sumter, Polk and Pinellas Counties. Cooling, Heating, Mini-Split Systems, Furnaces, Heat Pumps, Thermostats & Zoning, Products & Brands. Whole Home Re-Pipe, Hot Water Heaters, Drain Cleaning, Inspections, Backflow Prevention, Water Purification & Filtration. Surge Protection, Lighting, Smoke Detectors, Ceiling Fans, Circuits & Wiring, Generators, Main Electrical Panel, Sub Panel, Code Compliance. Air Duct, Indoor Air Testing, Air Cleaners, Humidifiers/Dehumidifiers, UV Light Systems.